An expert in Milwaukee’s downtown and everything it has to offer, Corley has helped place customers of all walks of life in their urban dream homes. Looking to buy or sell your property? Corley Real Estate is up to the task. From 2007 – 2012 Chris Corley served as the realtor and head of sales for Milwaukee’s luxurious BreakWater Condominiums, closing on the last of 101 condos in the spring of 2015, with a total of over $50,000,000 in sales. A Milwaukee transplant, Corley quickly learned that to be successful in sales he had to become an expert in Milwaukee downtown living. Along with serving as the main realtor for the BreakWater, Corley also handled a multitude of details and responsibilities including marketing, interiors consultations, counsel for prospective buyers, build outs, walkthroughs prior to closing and lender and appraiser relations. Managing all sides of real estate in such a high-end environment helped hone Corley’s skill as an adept real estate expert, offering his clients the ultimate in customer service, loyalty and confidentiality. 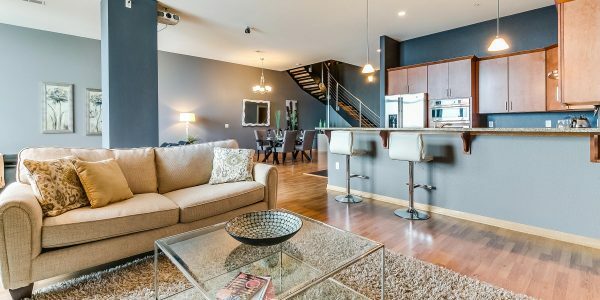 After five years of setting records and selling nearly every property in the impressive BreakWater Condominiums, Corley set his sights on the rest of Milwaukee, establishing Corley Real Estate, a boutique real estate firm specializing in downtown properties and exceptional customer experience. Self-made and extremely motivated, Chris Corley’s number one rule in sales is to champion relationships with his clients beyond the first sale. A people person who genuinely cares about his clients and their experiences, Corley is proud of the team he has built to deliver on those ideals. In 2014, Corley joined the Rotary Club of Milwaukee; he was named co-chairman of the organization’s annual golf outing in 2016. The funds raised from this yearly affair go to support the Rotary Club scholarship fund, which helps financially support students from underserved communities that exhibit strong potential as they pursue a college degree. Recently updated condo located on the Milwaukee River can now be yours! Open concept floor plan has kitchen with quartz ..
Beautiful 2 bedroom condo on the Milwaukee River. Awesome Walker's Point location, just steps from the 3rd Ward and Downtown. Spectacular East Side, two-story unit now available at 601 Lofts. Open concept floor plan. gourmet kitchen with slate flooring, custom .. Spectacular east side, 2 story unit now available at 601 lofts. Open concept floor plan. Meticulously maintained 16th floor, west facing unit is now available at the sought after Breakwater Condominiums. Gourmet kitchen boasts granite .. Luxury living in one of the most sought after high-rises in Milwaukee! Spacious fourth floor southeast corner unit now available in Walker's Point. Only minutes from Downtown, the Third Ward, Bay View .. Spacious studio with east, south and west views from the wrap around balcony. Premier Southeast Corner unit now available at Hansen's Landing in the Third Ward. Large open floor plan. Living room with .. Very spacious and meticulously maintained two bedroom, two bath unit at Hansen's Landing! Location, Location, Location!! Adorable open concept unit is now available in the heart of the 3rd Ward. Exposed cream city .. Meticulously maintained unit located right in the heart of the Historic 3rd Ward! Cute and cozy is a great way to describe this studio/condo. Kitchen has been updated with tile backsplash and stainless ..
Adorable studio/condo in Milwaukee's East Side, just a block from Brady Street and the River! This beautiful south facing unit overlooking the river has it all! Gorgeous wood beamed ceilings throughout. Kitchen boasts granite counters, ..
Live in the sought after Harbor Front Condominiums in Milwaukee's Historic Third Ward. Meticulously maintained corner unit now available in the heart of the Historic 3rd Ward. Open concept floor plan with gorgeous ..
Northwest corner unit now available in the sought after Historic Third Ward.